From content and design to user acceptance testing, we can help get your website up and running. Are you a new business or organization looking to develop a website to get your information out to the public? Perhaps you already have a website but feel that it is outdated or needs some modifications. That's where we come in. 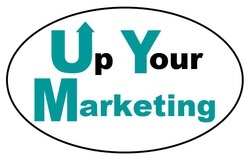 Up Your Marketing provides affordable options that allow you to improve the online user experience without breaking the bank. Are you unsure of your current website? Do you know you want to make changes but don't know where to begin? Let us review your current website to determine if your design is working for or against you. We can assess your site and make suggestions to ensure your customer has a quality user experience. We perform user acceptance testing on all of our websites. Any website created or modified by us will be tested to confirm that all links work properly and open in an appropriate manner. This includes functionality of any e-commerce or storefront capabilities you offer as well as contact or request forms.